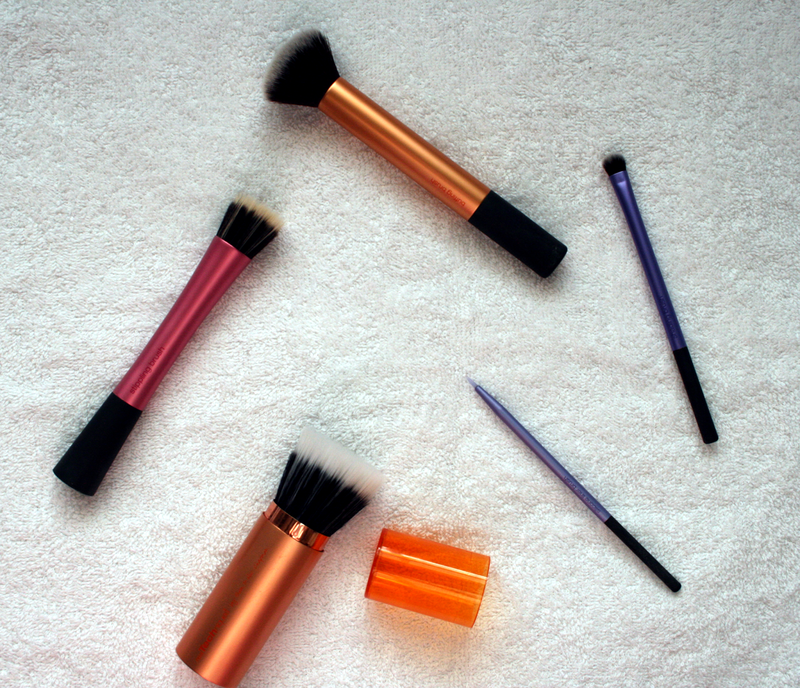 Real Techniques is definitely one of my favourite brands for brushes as they are affordable and great quality. I decided to put a list together of my picks to share my favourite brushes from the range that I would definitely recommend to everyone! 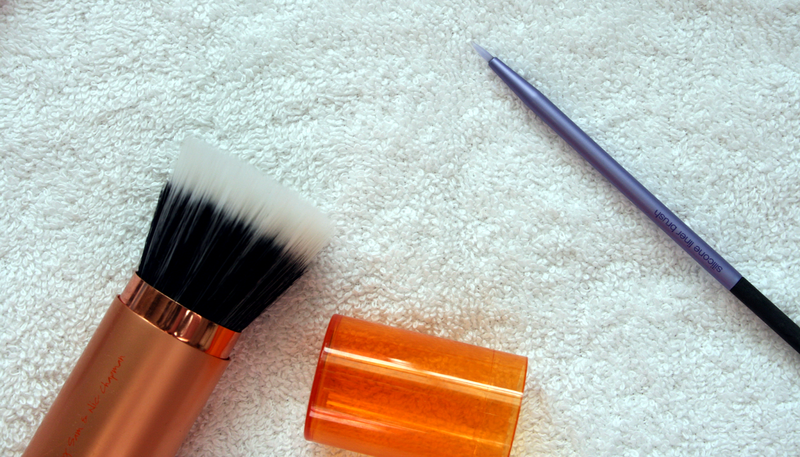 Stippling Brush: This brush is amazing to apply your foundation. It doesn't pick up too much product so you're not wasting anything. It also helps blend your foundation into your skin beautifully. When first using it, it may seem scary but honestly just use it once and I promise it will become one of your new favourite brushes. The bristles are also unbelievably soft! Buffing Brush: I've had this brush for a good while and have never used it on myself but have used it when applying mineral foundation on others. One day when I was rushing to do my makeup I just picked this up to quickly apply my foundation and I was so amazed. This brush is amazing to apply your foundation and blend out your concealer. It really helps you get the most out of your foundation and does an amazing job at giving you gorgeous coverage. This brush only comes in the Core collection but it's well worth the money and all of the brushes included in the set you definitely use. Shading Brush: Honestly when I picked this up it was just because their was a 3 for 2 offer on and I didn't have this one so thats why I just picked this up. However of course I am so glad I did, it really can do all of your eye makeup for you. It can also blend out your concealer really well while keeping full coverage on any blemishes you may be trying to hide. Silicone Liner Brush: I was forever a winged liner brush person and brushes with just thin bristles and having to determine where each flick of eyeliner goes so that it looks equal on each side would terrify me. This had me intrigued though because it had no bristles and was silicone. Since using it I haven't picked my winged liner brushes up. I don't know why but this really just seems to make gel liner easier and even creating a cat eye is simple. It may look terrifying because it has no bristles but it definitely is a great creation! It's also really easy to clean and you may think that because it's silicone it would drag and hurt your eye but it doesn't it really just glides on ever so gently! 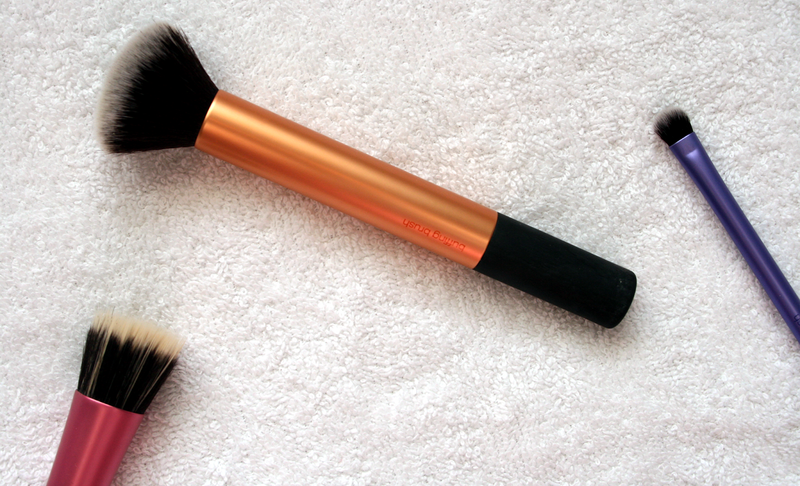 Retractable Bronzer Brush: This is such a great brush especially because it is retractable. It really is the perfect size to add products to your face. As it's retractable instead of using it as a bronzer brush you could use it as a powder brush to carry around with you and because it's retractable you know it won't get dirty in the bottom of your bag. What is your favourite Real Techniques brush? Real Techniques brushes are lovely, Im going to be saving my money for their Bold Metals range now too.